Sometimes in life we need to lay somethings aside. The Christian race requires a runner to lighten his load as much as possible. Any race requires things to be light. Whether you are racing on foot, in a car, in a boat or in and airplane, they all need to be light and they need to have a lot of power to be faster than the competition. They need a high power to weight ratio. They also need to be able to last through the entire race and be efficient especially in a long race. A long race also requires a lot of patience. 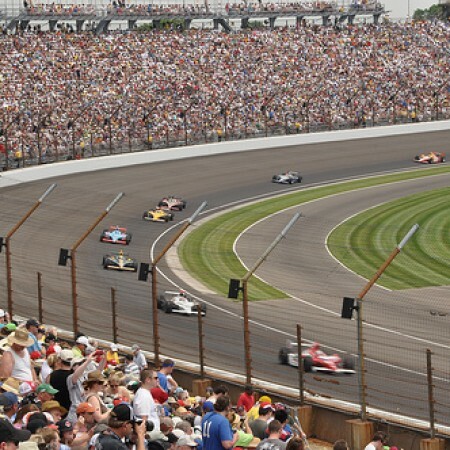 If a car runs out of gas on the last lap of the Indi 500, he is not going to win. Some races are sprints or drag races. Some races are endurance and can go on for days. The Christian race is an endurance race. We have a lifetime to do this race, therefore it is going to take a lot of patience. We need to be efficient. We also just need to stick with it. You need to be spiritually “light” if you are going to make it in this race. For a Christian that means laying some things aside. First you have to set aside weights. There are things that will hinder you. Your past may be something that will hinder you. According to the Word of God you are to forget those things which are behind and just press on toward heaven. You cannot fix everything thing in life. You need to look beyond this imperfect world and look at the Saviour. Other weights are people trying to hinder your work for God. You might as well realize, the lost are not going to encourage you to make good, godly decisions. There are all kinds of weights. Next you need to lay aside sin. Sin will cripple your walk with God. According to this verse it will beset, surround you and hem you in. You won’t be able to move. You won’t accomplish much of anything for God with sin in your life. Your race is going to stop because you are not going anywhere with God. God expects us to live holy lives into Him. Once you get rid of weights and sin, the Christian race requires patience to finish. Until the weights and sin are dealt with, you are not running because you are not moving. Once you get moving though, you need to keep running. You can’t quit. That is accomplished by not looking at the weights and sin but rather looking at the author and finisher of our faith, Jesus Christ. You need to always keep your eyes on the Lord and heaven. That will allow you to be patient in this very long lifetime race. This post has been seen 1534 times.